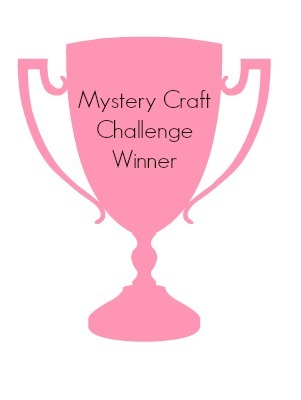 announce this year's Mystery Craft Challenge winner! Aside from that one time I tried to make homemade taffy, this really is my favorite time on the blog! Oh and in case you've been snoozing, check out Reveals Round One, Two, Three, and Four to see all the different ways you could make over a laser cut wood frame. Now onto my thank yous! I want to thank everyone who took the time to vote. If it was solely up to me, the most indecisive person in the world, it would be 2025 and we would all still be sitting here waiting for me to come to some kind of decision. Which leads me to my next thought, Martha Stewart. Surprise! She's my guest judge! Just kidding, I'm sure we all know she's busy folding fitted sheets somewhere BUT I know she would be SO proud of all of our participants and their creativity. So HUGE thanks to all of the contestants. 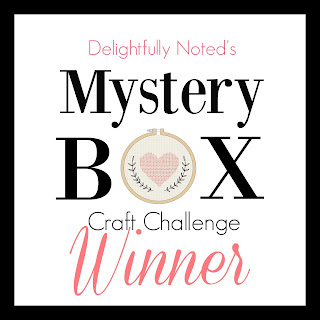 It may seem like some silly craft contests, but it takes courage to put your project out there to be judged in such a social format, and as I said before, each and every single one of you rocked this challenge! A matter of fact, 5 of you were right on the heels of the winner! So I know a lot of people walked away inspired by your projects, so YAY for that. I wish I had prizes for all of you! Jen's cute flower vase wall sconce really was delightful and I'm glad to hear so many of you loved it as much as did! Let's ooh and ahh over all the happy mail heading Jen's way! These lovely sponsors graciously offered up these sweet prizes and I have to say I'm a bit envious of Jen. I just may start working the postal route in her neighborhood just so I can swoon over all these goodies. 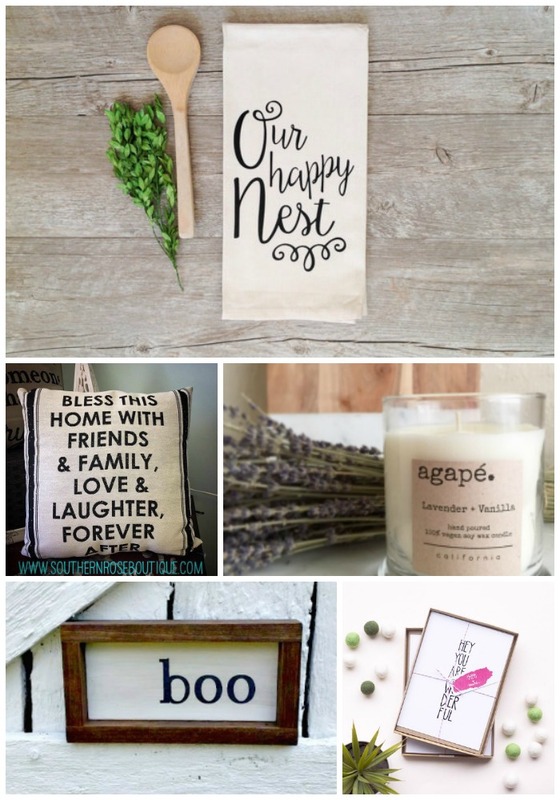 On top of a $25.00 gift certificate from Craft Cuts, home to wall letters, Jen will also be receiving these pretty items! 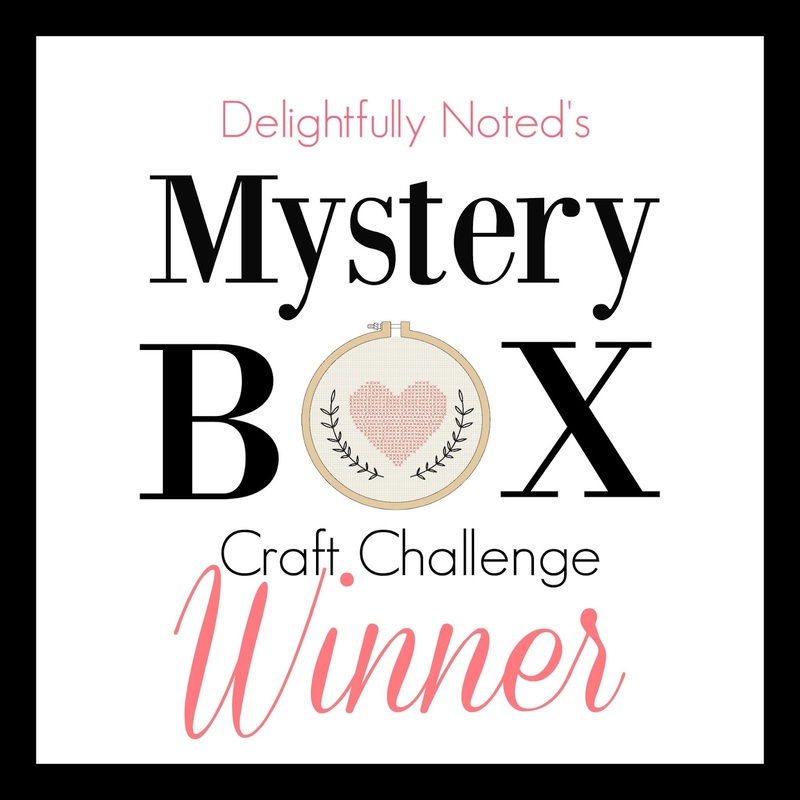 Learn more about these lovely shops by checking out the Mystery Craft Sponsor announcement. Congrats again, Jen! Enjoy your prizes. Well, folks, it's been a blast! Thank you, thank you for following along. I hope y'all had as much fun as we did! PS. Are we hanging out on Instagram, yet? Congrats to Jen! It was darling! !